I am SO excited and SO happy to share with you that Laura & Ariana from Lil' Inker Designs have asked me to join their brand new Design Team!! I am over the moon thrilled and so honored! And, what FUN it is to be revealed right after one of my best friends Amy!! 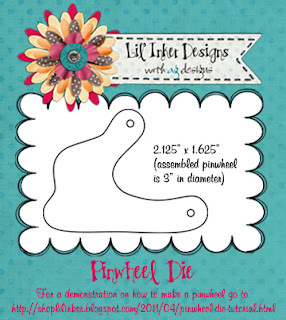 You've seen me use Lil' Inker Designs products here on my blog before!! 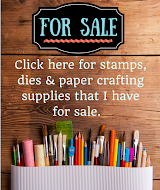 I LOVE the stamps and matching dies that are available through Lil' Inker! Love!! They are so much fun! I created a project to share with you tonight using the Lil' Inker Designs Sentiment Flags stamp set and matching die. It's a simple project but as you've come to expect from me, it packs a punch in the color department. LOL!! I started with some fabric scraps and then built my project around that. But, let's look at the notebook first. I picked this up at Walmart (because it matched my fabric pieces). I stamped 3 of the flag outlines from Sentiment Flags to make up my background, using the colors from the notebook. Then I used Charcoal twine to string the banners from and added a black rhinestone to the top of each one. Here's the gift to go along with the card. I started with a flag from "Sentiment Flags" hanging from the top of the notebook from a pink binder clip. This notebook has plastic dividers inside which was perfect for attaching the paperclips to! There is also a little pocket that they could have been put inside. How I did it: I die cut fabric that had been reinforced with iron-on-backing (to make it easier to cut) with the Lil' Inker Sentiment Flag die. I put a fold in the fabric and allowed the top flat part of the die to go over the edge of the fabric so that I would cut 2 of the flags and allow them to fold over (which could have made one very long flag). Then, I die cut some heat & bond adhesive sheets and ironed them onto the fabric that was wrapped around the paperclips. The adhesive sheets "glued" the 2 sides of the flags together and made these fun little paperclip markers. I used the medium sized (jumbo) paperclips for most of these flag markers. They fit the flag dies well. And, just in case you aren't into all that color, I'll show you another one that is much more "tame". Well, thank you SO MUCH for visiting today and sharing in my excitement! 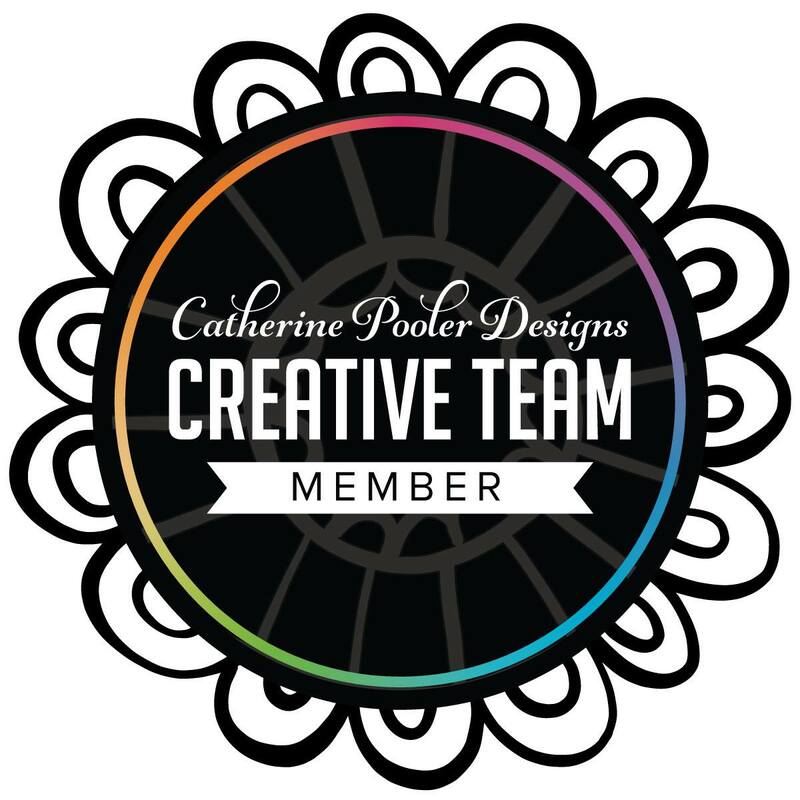 I am thrilled to be a part of this fabulous team! There will be another reveal tomorrow night, so be sure to check out the Lil' Inker Designs Blog then! Hi everyone!! As I'm typing this it is only 86 degrees outside, which is SO much better than the 111 degrees it was last night at this time. UGH!! My son keeps asking me if we are having a heat wave, "UH YEAH!! For sure!!" LOL! 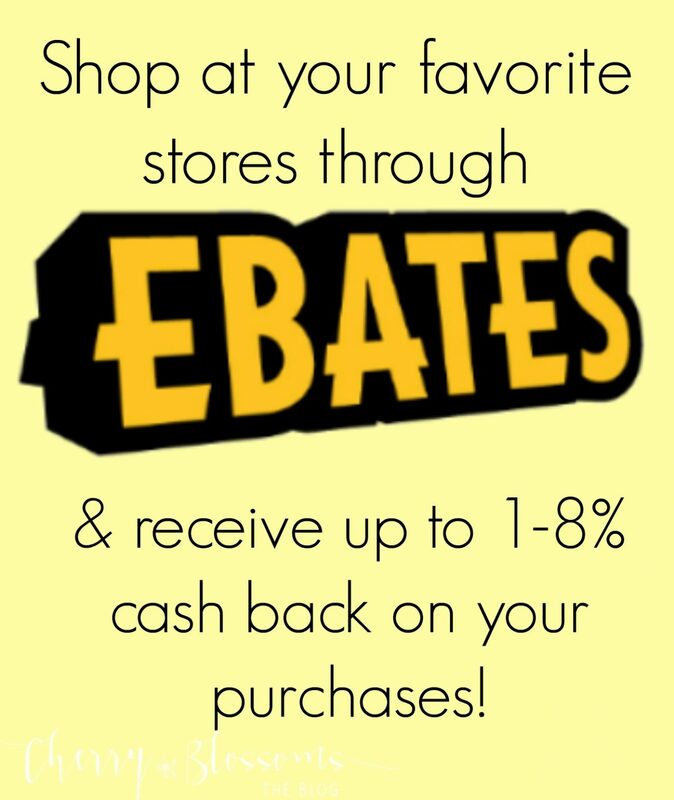 I have a fun post to share with you today! It is fairly picture heavy, but I hope you enjoy it! I love the dies from Lil' Inker Designs and was playing around with one of the pinwheel dies. Let me tell you that that die is so much fun! I love looking for other ways to use my dies and I came across a fun discovery as I was bending and folding it. Wanna see? This die makes the perfect 3D leaves! I am always saying that I wish I had a leaf die and now I do! I love the way it looks too! To do this, I just took one of the pinwheel die cuts and "folded" it as if I were putting the pinwheel together and then attached a brad. I realized it was hard to explain so I took a few pictures of the process. This is what you'll need. A die cut of the pinwheel and a brad. Insert the brad through the hole on the largest end. Bring the other side up and insert the brad through the 2nd hole. This is what it will look like finished. You can also use glue or a glue dot to keep the ends together instead of a brad if you'd like. While I'm at it, I thought I'd share one more tip that I discovered. If your cutting plate is like mine, it has a lot of little cuts in it that show up as "scratches" on your die cut. In order to avoid getting those on your die cut, since with this technique you'll use both sides, cut through 2 pieces of paper at the same time. Put a scrap piece of paper down first on the plate with the scratches/cuts and then put your good piece of cardstock that you want to cut and use on top of that. Then, put your die cut on top of that. This will allow the bottom piece of scrap paper to get all the cuts in it and keep your good cardstock looking clean. (Hope that makes sense, if not, I can take pictures of the process.) In the photo above, the 1st die cut was cut directly on the cutting plate and the 2nd photo shows how it turned out with a scrap piece underneath it. Isn't that a cute set of leaves? For this one, I started at the long end of the pinwheel die and just started rolling, much like you would if you were creating a rolled flower. When I got to the end I used a little bit of hot glue to adhere the felt leaf in place. I couldn't decide if I liked it rolled tighter or more loosely so I used both types on this flower to make them unique. From these shots you can see the side and inside of the leaves. Isn't that fun? To create the flower, I took a strip of fabric, cut it about 1" in diameter and twisted it. Then, I started rolling it from the center to create the flower shape and tucked the end of the fabric at the back of the flower. I've used these flowers to make pins and hair pieces. This could easily be used as a gift. Well, I hope you enjoyed this LONG, very heavy photo post! I appreciate each of you that take the time to stop by! Have a wonderful day! 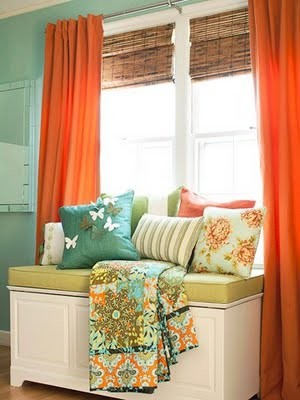 I took inspiration from the colors and also the flowers in one of the pillows and the stripes in the other pillow. The butterfly was inspired by the butterflies on another pillow and also by the pattern in the afghan. I punched the butterfly out and then stamped Mehndi Medallion and Daydreamer images on it using the colors scheme from the photo. I really love this look and need to do this again. Amy Kolling, Laurie Willison and I are together for an impromptu Stamping Away "weekend"! We are having a great time and the first thing we did was to each make a card for the PTI blog hop. 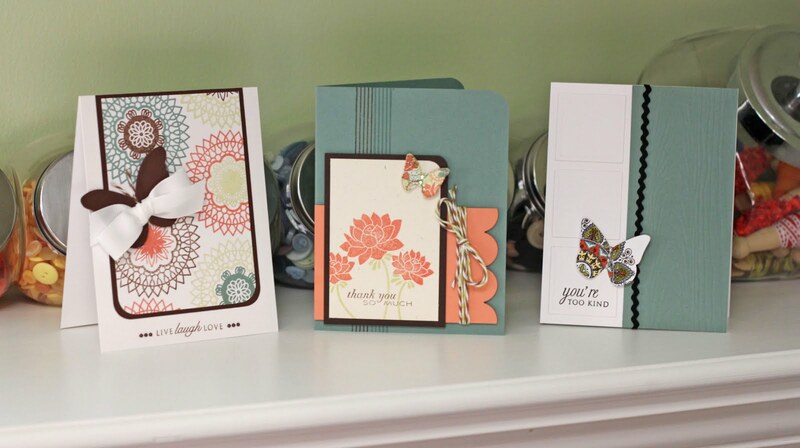 Laurie was kind enough to snap a shot of all 3 of our cards together. It's cool to see them all lined up together!! It was fun to see these all coming together and to see how we each interpreted the challenge in our own way! Want to see where we are stamping? 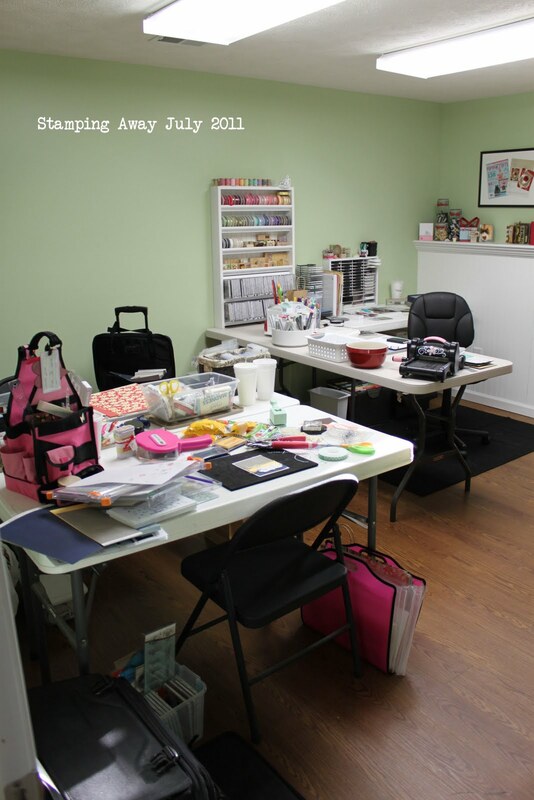 This is in Laurie's brand new craft room!! It's gorgeous!! Well, it's time to get back! Thanks for stopping by today! (I'll add the supplies for this card soon!) 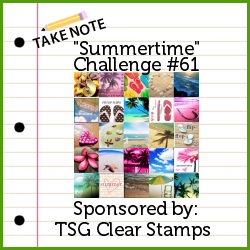 If you'd like to see the rest of the participants, be sure to hop over to Nichole's blog here! Hey all!! I wanted to pop in with a super quick post today! This is another window card like the one I showed yesterday only in a different color scheme. I love this paper from My Mind's Eye!! 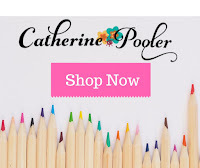 Beautiful colors and selections of prints! Because of the angle I took this at you can see the paper peeking over the top but you don't see that when you look at it straight on. There's that window again!! This is one of my favorite papers from the collection! I love seeing that pop of color when I open the card. Since I wasn't sure who would receive this card or what I would be congratulating them for, I didn't stamp a sentiment on the inside yet, just left it blank. Hope you enjoyed this card!! Have a great day! Hello!! I can't believe it's been a week since I've updated my blog! Wow!! Today I have a card to share with you that is a twist on the traditional window cards. When you first see it you may wonder how it qualifies for a window card in the first place...and maybe it doesn't! LOL!! I won't keep you in suspense any longer! Here's a close up of the framed piece on the front. I cut the frame 3 times. Once with the patterned paper that you see now, once with another piece of patterned paper and once with the Hawaiian Shores Cardstock. Then, I took the Sentiments Flag dies from Lil' Inker Designs and cut out the flag shape from the cardstock mat. I adhered together the two pieces of patterned paper so that each side shows the pattern (you'll see why in a minute). 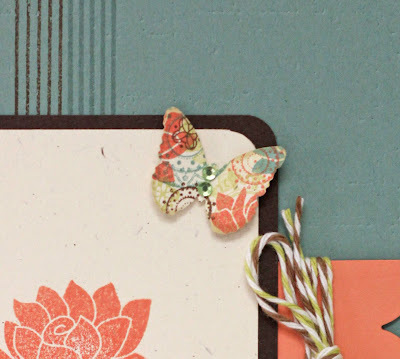 Then, I popped up the cardstock piece on top of the patterned paper with dimensionals. I have to admit that I am sometimes lazy when it comes to decorating the inside of my cards until I am ready to give them away. This time I went ahead and got it ready to send out. See that little decorative piece on the left-hand side? So, that is my very Clean & Simple card with a twist on windows!! I am entering this into the Wee Memories Clean & Simple challenge for the week. Hey everyone! How are you all doing? It is another super HOT week here!! It was up to 110 degrees this weekend (YUCK) and will continue to be hot ALL WEEK! It's a stay-inside-if-you-can kind of week! I chose four colors of twine from The Twinery (LOVE their twine SO MUCH!!) and that determined the color combination for the card. I love how festive and summery this turned out. I used my corner chomper to round the top right-hand corner of the card also. I really like seeing all those twine strands in a row together. I think it ties the card together nicely. 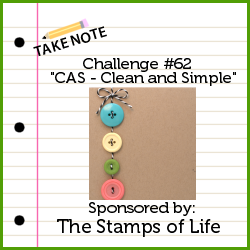 If you would like to join us for this fun challenge, you can link up your creation here. We'd love to see what you create! Thanks for visiting!! I hope you are all having a wonderful weekend!! My son is begging to watch Star Wars III so I told him after I posted this, we would watch it! LOL! I grew up watching Star Wars and loving it so I guess that has gone full circle now that Mason enjoys it too. I was playing with some new paper today and kept seeing rainbows again so I decided to pull out the Lil' Inkers Dies and try something different. I have had an idea in my head since I first ordered these dies to make a 3D rainbow of sorts by cutting the die cuts and layering them so that each layer is higher then the one before. This card was the first result of that experiment. Can you see how the rainbow pops? Each layer is just slightly overlapped. I cut each section of rainbow into 11/16" rectangle pieces. I found it was easiest to first adhere the rainbow to a piece of cardstock and then cut the white space away with scissors. This gave the rainbow stability and kept each section together. Then, I used a different thickness of dimensionals on each section. The section at the bottom I adhered directly to the cloud patterned paper (thanks Deb for this fun, fun paper!!). Each section after that was popped up to create the 3Dish staircase look. For those of you who haven't seen what the Lil' Inker Rainbow & Cloud dies look like, here is a graphic of them. You can also find more information here. For the tag, I had to use some of the Twinery's Pink Sorbet twine! LOVE that twine!! The tag is from PTI's Tiny Tag set and I stamped it with a circle from the Boy Basics: Simple Circles set to get the stripes that mimic the rainbow. 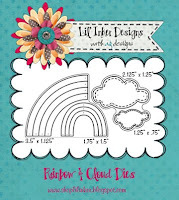 The sentiment is from the Lil' Inker Designs Rainbows & Clouds stamp set. That font is so cute! I'm addicted to that glitter paper too! I think it makes the cutest clouds! I'm entering this in the Wee Memories challenge to make a summertime card! Well, I better get to watching Star Wars! Hope you all have a very wonderful weekend! Thank you for stopping by! Hello! I have a post up on The Twinery's blog today and wanted to also share it with my readers. If you are familiar with my work, you probably know that I love to show off the Twinery's twine and make it shine in clean and simple ways. Well, today I decided to shake things up a little. I have a big and bold and busy card to share with you today! I started putting this card together by first assembling the bee. I found an image of a clip art bee online and printed it out on cardstock. Then, I cut out the body and used my ATG gun to apply adhesive to the front of the oval body. Then, I began wrapping the twine around the body. I wrapped a few strands of Charcoal Twine, and then a few strands of Lemondrop twine and repeated that process until the end of the body. I wrapped the ends under the body. For the wings, I used a circle punch and punched out two circles. The first circle was punched from acetate and the 2nd circle was punched with vellum. I ran the vellum circle through my die cutting machine and impressed a design on the circle. I then cut the circles in half and attached each 1/2 to the back of the body. For the head, I traced the clip art bee head onto my black cardstock, cut it out and attached it to the back of the bee. For the clouds, I used the same process I did on the first card for the Twinery-Stamps of Life blog hop that you can find here. Basically, I stitched twine from the Twinery around the edge of the clouds. I then frayed the edges of the muslin to give it that fuzzy look. I added a small Maraschino twine bow to the sentiment panel. I love the way that tiny bit of twine adds so much interest to the panel! 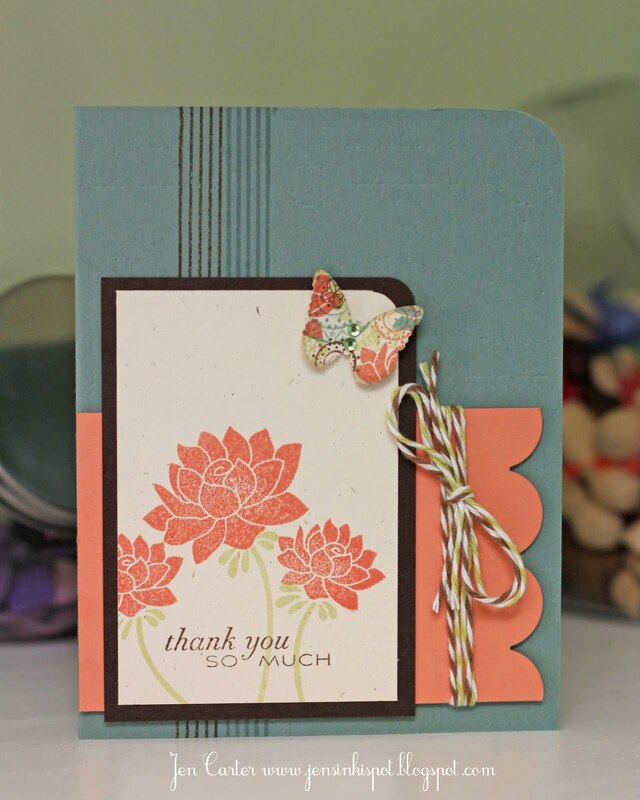 I hope you enjoyed this busy bee card! If you haven't tried The Twinery's twine, I know you will LOVE it!! I hope you have a great day! Thanks for stopping by!